I am thrilled to announce that Yellow Flag Press will publish Seek the Holy Dark as the 2017 selection of The Louisiana Series of Cajun and Creole Poetry. Great thanks to J. Bruce Fuller for this honor. 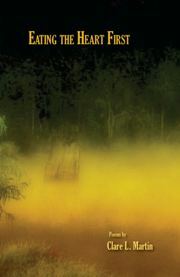 Yellow Flag Press is a Louisiana-born publishing house that is growing its national presence. I have had a long relationship with it, and I can’t think of any other affiliation that would make me as happy. For a long period of time since my mother’s death in May of 2014, I felt aimless. I was writing, but I did not have a meaningful writing project in front of me to keep me focused on the bigger picture of my Writing Life. I had material for a new manuscript, tentatively titled “Broken Jesus,” that I began to assemble after Eating the Heart First was published. Over the course of a couple of years, I abandoned hope for it and just kept writing new. Several months ago, while having coffee with The Bayou Mystic, Bessie Senette, I expressed my feelings of a lack of purpose beyond my personal responsibilities and our writing group’s objectives. She knew that I had relinquished my roles in many of the projects I had been involved with before my mother’s death. She also knew that was very hard for me, because of my giving and ambitious nature. The deep dissatisfaction I had been living with was causing depression beyond normal grief. Bessie listened as I shared my feelings. After a silence, Bessie stood, pointed her finger between my eyes, and said, “You need to write another damn book!” As soon as she said it, I was taken aback. I went home with a charge of energy to do exactly what she said to do. I got to work with real determination. In December 2015, in a casual conversation, I brought up the work I was doing to J. Bruce Fuller at a writing event we were attending in Arnaudville, LA. He offered to read the manuscript. When I sent it, I had a sense that if I had to face a “no” I would reluctantly consider other options. Honestly, from that moment in Arnaudville when the opportunity opened, I desired for Seek the Holy Dark to be a YFP book. I have always had great faith in J Bruce’s integrity and the good health of his press. I am thrilled, ready, excited, and focused to bring this new work to the world. I again express thanks to J Bruce Fuller and Yellow Flag Press for this amazing opportunity. And great thanks to Bessie for seeing my need and calling forth my energy to fulfill it. One of my poems, “Litany” has been translated into Turkish and will appear in a small print journal in Turkey called Gard thanks to poet and translator, Şakir Özüdoğru. How cool is that? Just to know that this poem has impact and has moved another to share it with readers in his native tongue is thrilling. Much thanks to Şakir and best to him in all his artistic endeavors! The original poem can be read, in English, in the current issue of MadHat Annual in addition to four other poems by me here. I am working on a second manuscript of poetry with hopes for a second book. When Eating the Heart First (Press 53, 2012) was done and out in the world, I was consumed with promotion of it and became less structured/focused in my writing time. Happily though, Acadiana Wordlab had just formed that same month and regular attendance counted for me getting writing done. The weekly sessions got me refocused and recharged. I am indebted to Jonathan Penton (Google him) for his vision and work that made this great community/activity thrive. I am the coordinator now, as Jonathan has moved onto other projects. My involvment gives me great pleasure. I give and receive. I am amazed by the wonderful writers who are growing in the Acadiana community and around our state. I have many new poems that have come out of the AW drafting sessions that will hopefully make it into the manuscript. I have a working title for the manuscript: Broken Jesus. That title comes from a line in my poem, “Convergence,” which appeared in Louisiana Literature, but the image itself comes from a black and white photograph of a broken marble statue of Jesus on the cross at an abandoned church. Ralph J Schexnaydre, Jr. took that photo back in the 1980s. The image appeared on the cover of the first literary magazine in which my work was published, my university’s journal, The Southwestern Review. I still have that journal issue (it came out in 1989, 25 years ago) but sadly Ralph doesn’t have the image anymore. I would have asked him to allow me to use it. I do have in my house a crucifix that was my grandmother’s and grandfather’s that is broken. A limb is missing from Jesus, and perhaps I can have someone photograph it for me down the road as the manuscript shapes up. How does your work differ from others in its genre? The work I am drawn to, the poetry that enlivens me is work that is finely crafted, visceral, meaningful, daring, brave, honest, sharp, and lyrical and I hope that my work is these things. I want to be a dauntless writer. I want to be writing new always: pushing myself, going deeper, going harder and reaching more deeply into you, the reader. I don’t know how else to answer this question because if I am not gripped by a poet’s language, attention to craft, willingness to rend hearts and punch guts, with an almost nameless kind of love for you at the same time, I usually put the book down. I write to move other human beings with my words. I used to be strictly tied to typing rather than writing in longhand but since I have been a devotee of Acadiana Wordlab’s mostly pen-to-paper process, I am more attuned to my hands, albeit in a different way than typing letter by letter. This is something new and fun for me, to write out drafts in notebooks. It’s something I had truly not practiced except for note-taking since getting a typewriter, then a word processor, then a computer. The words are moving from my brain to my hands but my hands know more than my mouth does. In my at-home practice, I usually start with a free-write. I don’t wait for inspiration but because I am a constant reader, I am inspired daily. Also, those ephemeral voices (that may become lines of poetry) are a grace to which I am sharply attuned. (It can cause problems to live so far up into your head but I manage to be grounded). A word or phrase may come to me while eating buttered grits or taking a bath, and I get up, write it down, and follow where it leads. I have rushed out of the bath naked (they’ve all seen me naked around here) and gotten on the computer to get words down. My short term memory is weakening I think. I also might need to get my bathrobe out of the closet. Sometimes if I am driving and a line comes, I will pull over and voice-record it on my phone. But the question of writing process beyond the mechanics of actually writing is that I firmly hold that I cannot call myself a writer if I am not writing. I don’t feel I deserve that name if I am not doing it in some way, and I count many ways: letter-writing, journaling, creative writing, and emails—they qualify too, if they are creatively inspired. For many years my only writing was letter writing and it was necessary for me to have that one person as an audience. The three friends I wrote to on a regular basis are now deceased but really I owe them deep thanks for enjoying my letters and writing back. Those correspondences saved me and my writing career, whatever that is or will be, because it kept me writing. 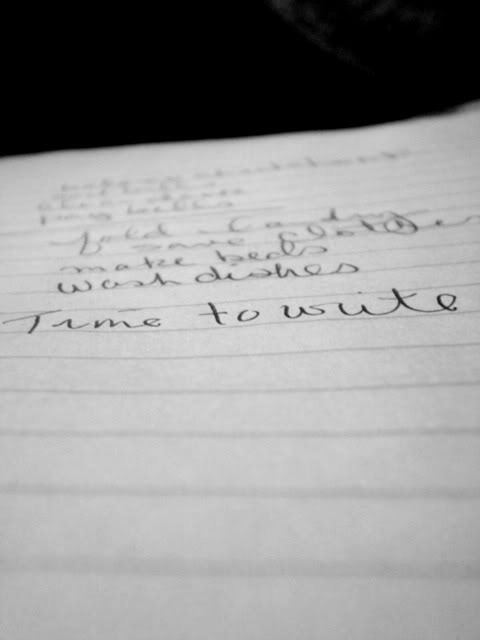 Those friends kept me writing and encouraged my writing when my days were black pages. Participate if you like and link back here! I will link to you, if you are inclined to play along. Events at AWP at which Clare will appear. See you in Seattle! On Thursday, February 27th and Friday, February 28th from 3-4:00 pm (both days) poet Clare L. Martin will sign copies of Eating the Heart First (Press 53, 2012) at the Press 53/Prime Number Magazine table (CC 35-36). Copies of Eating the Heart First will be available at the Press 53 table in limited quantity. And on Saturday, March 1st from 11 am – 12:00 pm, Clare will sign copies of Eating the Heart First and Vision/Verse 2009-2013: An Anthology of Poetry (Yellow Flag Press) at the Yellow Flag Press table (K 21) Copies of Eating the Heart First will be available at the Yellow Flag Press table in limited quantity. The 2014 AWP Bookfair is located on Level 4 of the Washington State Convention Center, 800 Convention Place in Seattle. 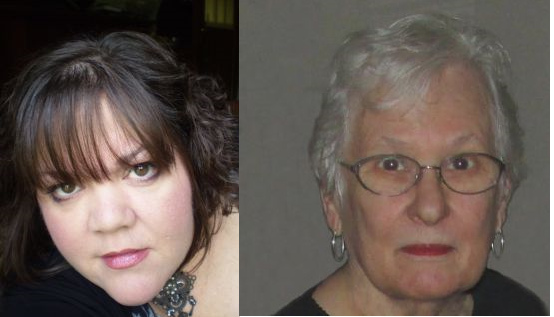 Wednesday, February 19th at 7 pm the winter installment of the Voices Seasonal Reading Series will feature a special evening of literary readings by poets Clare L. Martin and Diane Moore at Carpe Diem! Gelato – Espresso Bar located at 812 Jefferson Street in downtown Lafayette. The public is invited to enjoy gelato, espresso, tea, and pastries while experiencing a unique and enlightening literary event. 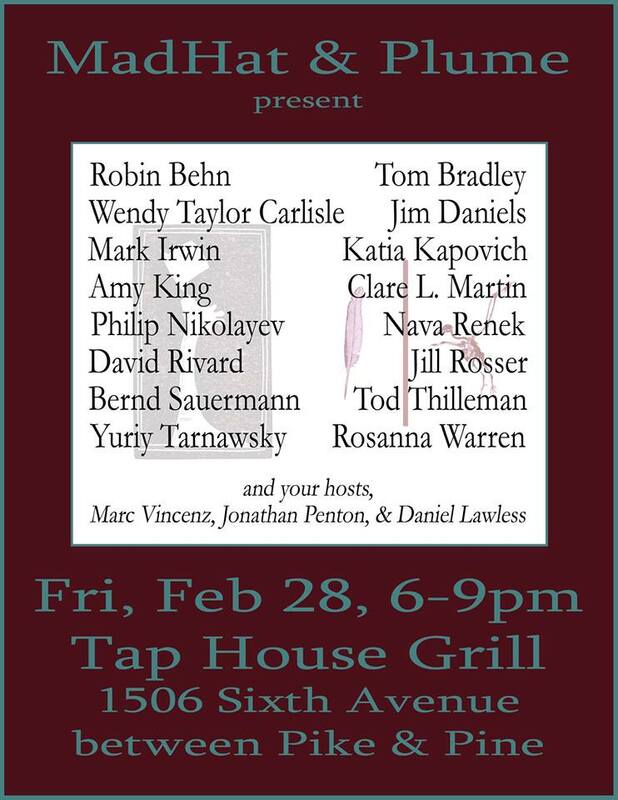 The event also celebrates the two-year anniversary of this highly successful reading series in Lafayette. Clare L. Martin’s debut collection of poetry, Eating the Heart First, was published fall 2012 by Press 53 as a Tom Lombardo Selection. Martin’s poetry has appeared in Avatar Review,Blue Fifth Review, Melusine, Poets and Artists and Louisiana Literature, among others. She has been nominated for a Pushcart Prize, Dzanc Books’ Best of the Web, for Best New Poets and Sundress Publication’s Best of the Net. Her poems have been included in the anthologies The Red Room: Writings from Press 1, Best of Farmhouse Magazine Vol. 1,Beyond Katrina, and the 2011 Press 53 Spotlight. She is a lifelong resident of Louisiana, a graduate of University of Louisiana at Lafayette, a member of the Festival of Words Cultural Arts Collective and a Teaching Artist through the Acadiana Center for the Arts. Martin founded and directs the Voices Seasonal Reading Series in Lafayette, LA, which features new and established Louisiana and regional writers and co-coordinates Acadiana Wordlab, a weekly literary drafting workshop. She serves as Poetry Editor of MadHat Annual and Editor of MadHat Lit, publishing ventures of MadHat, Inc.
Diane Moore is a writer of books, short stories, articles, and poetry. Her latest published book is a book of poetry, In A Convent Garden. Her poetry and short stories have appeared in the Southwestern Review, Interdisciplinary Humanities, American Weave, Xavier Review, Trace, The Pinyon Review, and other literary journals. Her young adult book, Martin’s Quest, was awarded a grant that placed it on the supplementary reading list for Social Studies in Terrebonne and Lafourche parishes and was listed on the Louisiana Library Association’s reading list for accelerated students. Martin’s Quest was also a finalist in the Heekins Foundation Award Contest for an outstanding young adult book. Diane has been involved in poetry readings with both former Poet Laureate of Louisiana Darrell Bourque and Poet Laureate of Louisiana, Julie Kane; with New Orleans poet Brad Richard in the Festival of Words program in Grand Coteau, and with the present Louisiana Poet Laureate, Ava Haymon. This year, she published another young adult novel set in south Louisiana entitled Martin and the Last Tribe, the third in a series about the young traiteur hero of Martin’s Quest. “Martin is a fearless poet who opens her collection with a poem called “Naked.” She tells us she “winc[es] at self-recognition”—but wincing isn’t running, isn’t hiding from the mirror. In “I Have Learned to Hold My Tongue” a few pages later, silence isn’t forever, but “Not yet, not yet.” Words must gestate, be nourished in wombs until viable. Knowing when to let words out becomes knowing how hard to love, and the knowledge, anthropologists might conclude, comes from women. Perhaps it’s one woman who is many women: “The woman naked before the mirror,” “the woman you married,” “Bone Woman,” “Girl Running with Horses,” “Garbage Woman,” “wood-boned mother,” “the earth, your other mother”…there are more. Martin tells us what women know, and looks to women in dreams, in art, and in memory for answers. Many of her poems even read like spells—the knowledge is “conjured,” “illuminates” and “enlightens.” Love letters are burned and smoke is “sacrificial.” Ashes are offered “to the thunder and wind.” Ceremoniously, Martin honors lives—her father’s, her infant son’s—she couldn’t herself sustain anywhere else but in the altar-tombs of her poems. And such weapons as we find in her book are exquisitely rendered. “In her first collection, Martin deals with many common themes – motherhood, death, nature – but does so with an unsettling grace. There is an honesty and an understated tone that give each piece the right mix of tension and release. Many of the poems are exceptionally well wrought, describing loss and hope, anger and want. The most powerful piece in the collection has to be “Bread Making.” The seething anger, mixed with a dash of christian mythos, combined with flour, and sweat, all bake together into the perfect loaf. Buy Eating the Heart First! My debut collection of poetry, Eating the Heart First, published by Press 53 as a Tom Lombardo selection, is now available. Click on the image to purchase directly from Press 53′s web site. Available via Barnes & Noble andAmazon. MadHat Annual, Issue 15 “Eye On the World” features relevant, lucid, and provocative poetry*, fiction, drama, multimedia, audio, and visual art by artists from all over the planet. To the brilliant artists whose contributions have made “Eye on the World” such an incredible offering, THANK YOU. Be sure to view/experience the special video collaboration, “Refuge,” by our late founder, Carol Novack, and artist Jean Detheux. *I’m particularly proud of the Poetry section, which was curated by Executive Editor, Marc Vincenz, Outgoing Managing Editor, Susan Lewis, and me–newbie Poetry Editor. 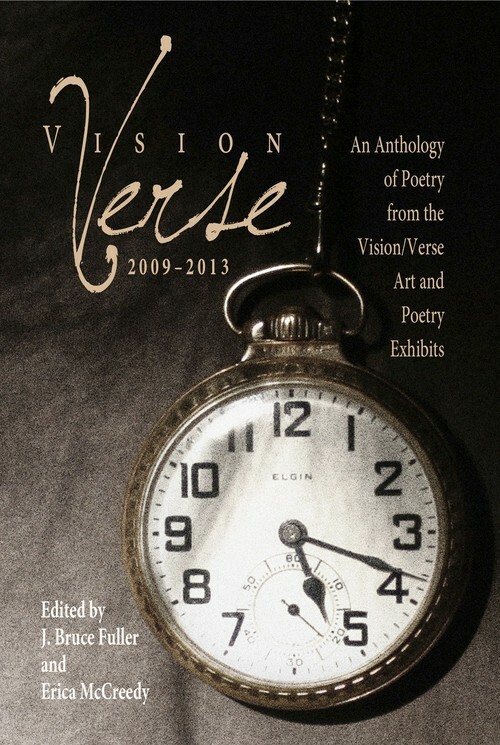 Over 50 phenomenal poets are featured! (And I have a few poems in there as well).